Tomme de Savoie is probably the best known of the Tomme family: a rather diverse family of cheeses. The word Tomme is widely believed to originate from 'toma', which in Savoyard dialect simply means 'a cheese made in the mountains'. And really, given the variation amongst Tommes, it could just as well mean 'cheese', although we usually think of flat circular cheeses of modest size, made in the Alpine regions of France, Switzerland and Italy ('Toma'). They tend to be uncooked, pressed recipes with natural rinds, which are aged for less time than big wheels such as Gruyere or Comté. But these are not rules, and there are many cheeses that go by the name which would fall outside of these characteristics. 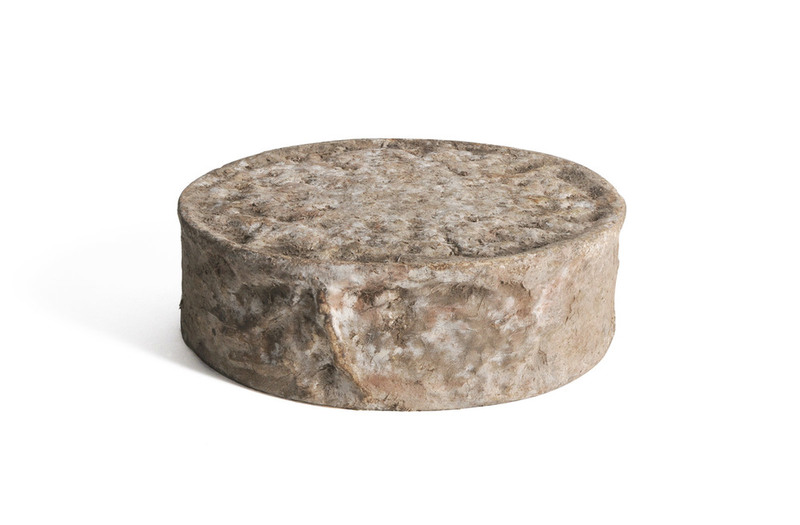 Tomme de Savoie is one of the oldest recipes in the Savoie, mentioned in texts as early as the 16th century. Its origins are in the frugality and ingenuity of the farmhouse kitchen. When winter conditions confined people to their houses and cows to their barns, families would skim fat from the limited winter milk yield to make butter and cream. The skimmed milk would then be used to produce small cheeses that could tide them over until Spring arrived, and would be served at every meal as an essential source of protein. With each farmhouse producing their own cheese, these Tommes would vary wildly in size and flavour, and indeed there are still as many Tommes in Savoie as there are valleys. The recipe is now made with whole milk by some producers, including those that we select, which are made by two producers who both rear their own herds of Tarine and Abondance cows. Refreshing of paste, with a yogurty, cucumber-ish character, these cheeses have a lightly earthy rind, nutty notes and the aroma of mushrooms.